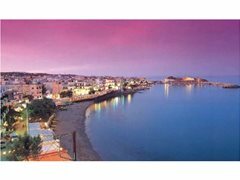 Get paid to party and live your summer 2019 in the beautiful town of Hersonissos, Crete. Promo models who would like to get paid to party. Work for 2 hours during the day and in the evening spend your night at VIP tables with all your drinks paid for. Earn 40 euros per day plus 10% commission on any ticket sales made to the events you party at. Shared accommodation and travel provided.